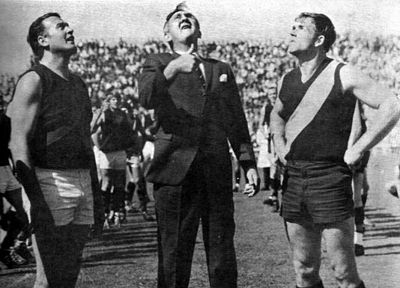 Donald Neil Kerley - nicknamed "Knuckles" or "King" - is an iconic figure in South Australian football. Kerley's South Australian National Football League (SANFL) playing career spanned 1952-1969. He played a total of 260 games for West Adelaide, South Adelaide and Glenelg. He was a successful coach with legendary discipline, but also a shrewd tactician. He coached SANFL premiership sides at West (1961 and 1983), South (1964) and Glenelg (1973), during a 28-season coaching career. He represented South Australia 32 times, winning All-Australian selection in 1961, and went on to coach the State side for 10 seasons. He came to represent the face of South Australian football, especially to Victorians, due to his passion for interstate State of Origin games.